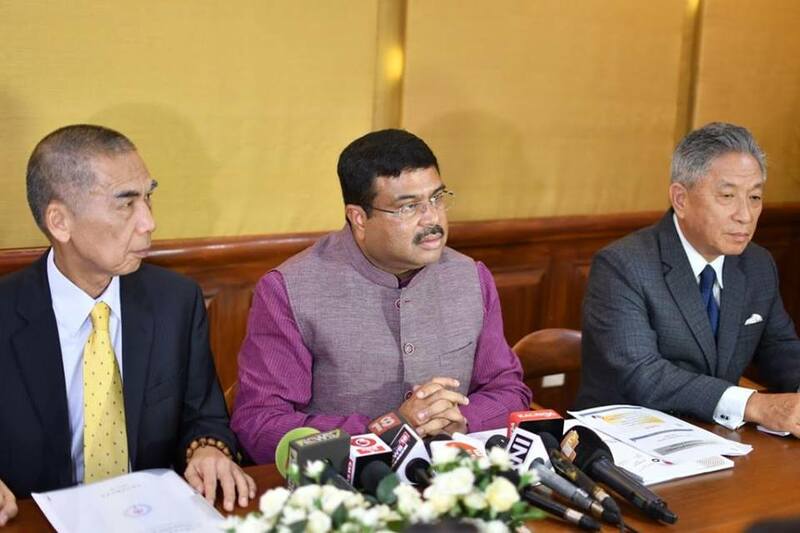 New Delhi: Union Petroleum Minister Dharmendra Pradhan said Taiwan Taiwanese company proposes $6.6 billion investment in petrochemical projects in Paradip. Taiwan delegation on Tuesday met Union Petroleum Minister Dharmendra Pradhan. The delegation led by President of Taiwan’s state-owned petrochemical company, CPC Corporation met Union Petroluem Minister Dharmendra Pradhan. They propose to invest $ 6.6 billion in petrochemical projects in Paradip using feedstock from IOC. “Met with a delegation led by President of Taiwan’s state-owned petrochemical company, CPC Corporation. They propose to invest $ 6.6 billion in petrochemical projects in Paradip using feedstock from IOC,” Pradhan tweeted. During the discussions, IOC’s 15-million tonnes per annum Paradip Refinery has emerged as a suitable location for investment in a greenfield cracker and downstream units at an estimated investment of USD 6.6 billion, it said. The delegation will be going to Odisha for a site visit to Paradip refinery and Paradip Port and for discussions with IOC and State Government officials.